The big day is finally here! The University of Oregon kicks off its season against Boise State tonight in a big-time matchup that will almost certainly end with my testosterone level either up or down 20%, depending on which student athletes prevail! The NCAA big show expands to 120 teams this year -- welcome, Western Kentucky Hilltoppers! Seriously! 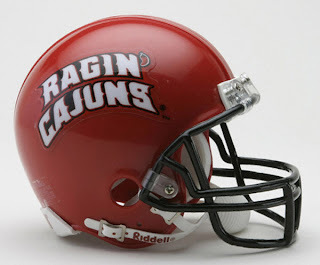 Here are twelve teams that may or may not be in contention, along with their respective helmets. Which IS and which ISN'T bona fide college football teams? Get your answers into the comments with a balanced pass/rush offensive attack. SHRIEK! I said HAVE A SPORTS QUIZ AFTER I LEAVE!!! AFTER!!!! 4. Hmm. No. Nuggets or Pinballs or Gamers or something, maybe. 6. Looks more like a wolf. Nah. 9. This is a Yes. 12. Shoot. My nephew graduated from VaTech. Couldn't you ask about U of Evansville? I know The Purple Aces! That is SUCH an unlikely name! I always said, "Purple Asses," but that was just to torment our son ('05)...Oh, I'll say YES just to end on a "positive note." His comment: Hmm, some of these are pret-ty obscure. 1. Yes. Everyone in that state is going to hell for their blasphemy! 1y 2y 3n (that looks suspiciously like a nebraska cornhuskers helmet.) 4n 5y 6n 7y 8y 9n 10n (isn't that a tennessee vols helmet?) 11y 12n. 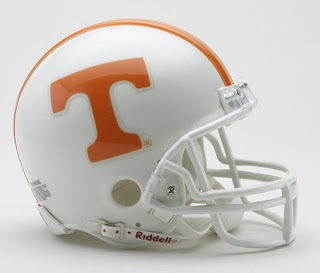 Oh, and I think the helmet in #10 is for the Tennessee Volunteers. 10. nope. that is definitely a Tennessee "T". We see them a lot around here. 3. Nope. That'd be the Nebraska Cornhuskers' helmet, where, as the old Oklahoma dig goes, the "N" stands for [k]"nowledge"
4. I don't think there is such a school, so nope. 5. No such school. So nope. 6. No. I think they're a Wolfpack, or something like that. 10. That looks like a Tennessee helmet to me, so, nope. I wasn't going to do this quiz, football (the US kind at least) being approximately -132 on my list of things I'm interested in/know anything about, but then the ghost of Knut Rockne appeared and told me to go out and win one for the Gipper, and as I was born in South Bend, what can I do? So here's a hail mary of all guesses - without even looking at the pictures, so you know this is even more of a desperation play. Oh, am I over the goal line already? Go Irish! All I know for sure is that 4 is Northwestern and 10 is University of Texas. Wow, that Elaine really knows when to take a vacation from the quizzes, is all I can say. Let's see how I fare, without even the benefits of random number generation. 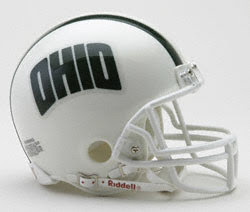 7 The helmet design isn't saying "Bobcat" to me, so I'll say no. Also, are there really bobcats in Ohio? 8 I like that. yes. 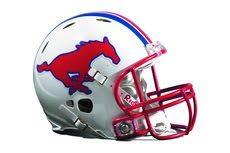 You know, I just have to say at this point that I'm troubled by the Riddell Co. helmet monopoly. I think it should be looked into. Man, sorry, Elaine. Pretty grim stuff to encounter just before a trip. I forgot to say: GO DUCKS!!! Yeah, well, my hubby's undergrad alma mater was PENN STATE. Well, I only recognize one of these, and not coincidentally, it's the only Pac-10 team in today's quiz. 3. Dreadnaughts? Isn't that the cutout in a guitar body to allow for easier wailin' on those high notes? Isn't. 4. What the heck. Is. 6. Doesn't really look like a lion, so Isn't. Did I mention that I was guessing? 8. Hmmm, Yep on the name, is that the right helmet? I'll go with Yep. 9. No clue here, so Yep. 10. Isn't - pretty sure that's the Tennessee helmet, at least, and I can't imagine orange bears. 11. Is - my alma mater (for grad school at least). Wahoo-wa! 12. Isn't - they're the Hokies, which is apparently some sort of turkey. Just as an aside as I was driving yesterday, I saw a sticker for New Jersey Devils & realized that they too were missing from the quiz & that was so far removed from a gimme - like the Ducks - you might get kicked right on outa oregon man! 3. Nah, Navy is the Midshipmen. That's a Nebraska helmet. 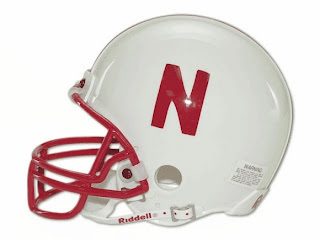 The only thing I like about Nebraska is their old-school helmet. 4. No way. No such thing as "Nevada State." 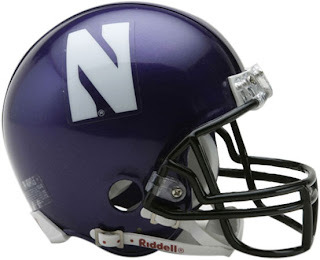 Helmet courtesy Northwestern University. 5. No, there's no "New Hampshire State" either. 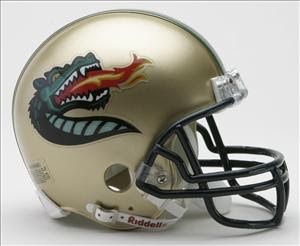 The helmet is from Alabama-Birmingham. 6. No, NC State is the Wolfpack. 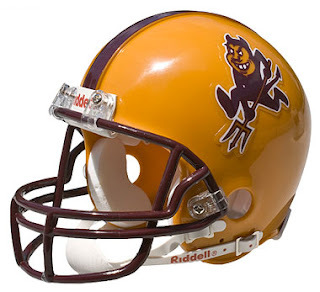 The helmet is from Nevada, which is also the Wolfpack. 10. No, Tulane is the "Green Wave." Seriously. 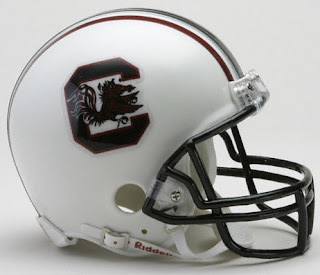 The helmet is Tennessee's, of course. 12. 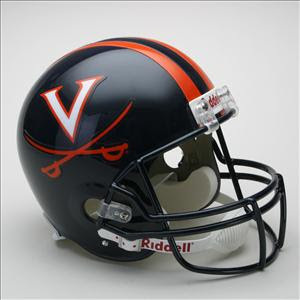 No, VTech is the "Hokies." Seriously. 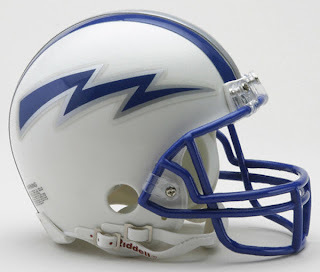 The Helmet is Air Force's. Which means that the Gold, Silver, and Blue Stars go to our three college athletic enthusiasts who nailed it with 12/12: QB la Gringissima, WR DrSchnell, and RB Snowgirl. I missed this quiz, but I'd like to submit for the record that I have been to the Army-Navy game really a lot of times. And I was hoping--not to WIN, which was ridiculous-- but at least to best my husband, who cruelly beat me at a card game just this lunchtime! Alas. Oh, and I DID watch the news, with the Oregon Duck pecking (or decking) the unwary Boise Stater. Them ducks is vicious!